There are dozens of adorable costumes lining store shelves at this time of year- from cute kittens to scary vampires. And about a million Elsas this year. But there is something charming about a homemade costume put together imperfectly but with love and a bit of imagination. Lila is three years old and this is probably the first time she's understanding a bit about Halloween and dressing up in costumes is all about. In the last week or two, she has been coming up to me with costume ideas that are fanciful to say the least. First off, she wanted to be a guinea pig princess. Then she wanted to be a bat pumpkin. Finally, she wanted to be a mad orca. I don't think I have the faintest clue of how to make my toddler look like a belligerent killer whale, so I looked at a pretty multi-colored skirt that she recently got as a gift from her grandma and said, how about you dress up as a rainbow? I wanted a costume that was easy to wear and fun to look at. So we started off with this sparkly rainbow skirt. At a consignment sale, I found a rainbow striped sweater. This was good, because the costume would be worn all day at preschool, including on the playground where the kids need to be dressed warm. I looked for rainbow striped tights, but found multi-colored tie dye ones instead and figured they would do. With all the components in place, I wanted to add a little something- a mini science lesson maybe! Rainbows form when sunlight refracts and reflects in rainwater droplets. So maybe I'd put a sun and clouds and rain on the shirt. I cut the sun out from soft yellow/orange craft felt and sewed it on with a simple running stitch. For a whimsical representation of raindrops, I cut out tear-drop shapes from stiff blue felt and sewed them onto 3 pieces of blue rick-rack with matching thread. For the cloud I drew a double layer of a cloud shape from batting remnants. Sewed 1/4 inch around the shape leaving an opening in the bottom. Then I clipped the edges and turned the cloud inside out. Stuffed the shape with some fiber-fill. Tucked the ends of the rick rack raindrops into the underside of the cloud, then sewed it shut. Finally I sewed the completed cloud onto the sweater with blanket stitch. The rainbow costume is ready to go! My little fella Viv has never really worn a costume before (other than trying on a tutu I'd made for a friend's daughter and twirling about in it at 15 months of age!). He's never experienced a Halloween celebration earlier either, so unlike his (slightly) older but (much) wiser cousin Lila, there was little point in asking him for dress up ideas. 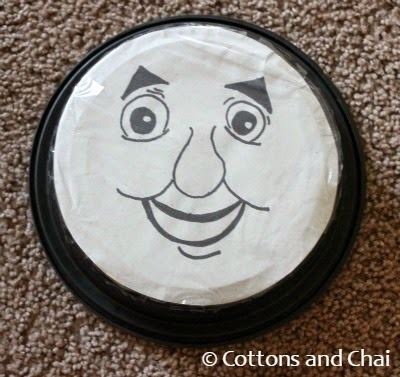 As I walked about the house trying to come up with a suitable costume, I realised it was a no-brainer really coz everywhere I go there's a triangle-eyebrowed Really Useful Thomas the tank engine staring at me. A Thomas tent in the play corner, a Thomas book on the shelf, plastic Thomas bowls in the kitchen, a Thomas towel hanging on the peg, Thomas toothpaste on the bathroom counter, a Thomas outfit in the closet (oh and Thomas underwear!) and Thomas shoes on the rack. Phew! Wait, what? No Thomas socks or hat? How have we managed to not be suckered into getting those things too by the merchandising gurus? The other day he noticed that he had his Thomas outfit on (yes, outside and inside) plus his Thomas shoes and drawing a lesson on excess from The Hungry Caterpillar said, "If you wear too much Thomas, you get a stomachache!". Judging by the Thomas explosion in our home, that theory is quickly disproved. Anyway, I looked around on the internet and there were tons of tutorials on making Thomas trains from cartons, some of them very detailed too. I decided to simplify it as much as I could. Good thing I procrastinate so much about taking recycling to the bin because I had plenty of cardboard boxes to pick from! I started with a slightly longish rectangular one in which he'd stand and cut off the top and bottom flaps. 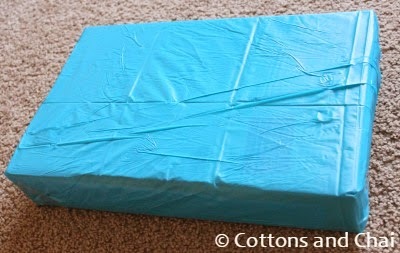 I didn't find any paper that was the blue shade of Thomas, but luckily found a shower curtain that color at a dollar store and used it to cover the box. Similarly another flat long box that would go at the back. Then I joined them together using red duct tape. As luck would have it, I had a round, black restaurant doggy bag box that would be perfect for Thomas's raised face. I drew those triangle-eyebrows and the rest of his features on grey paper with a black marker and stuck it on, with a layer of plastic covering it to prevent tearing. Then I added details like the yellow number '1' and wheels plus ribbons from the sides to go over Viv's shoulders. Oh how excited he was when he finally saw it, choo-choo-ing around the house in a mad frenzy. Yes, he's also been practicing for trick or treating by shouting at the top of his lungs 'prick or treat'! I don't know how much Viv understands about Halloween, but I do know this - he's wearing his beloved Thomas and the boy's going loco! Amazing really, both of you! Both the costumes have so much thought and love. Nupur, I loved the little science lesson on the rainbow costume. It just made it all come together brilliantly! Kashmira, the Thomas costume looks adorable! 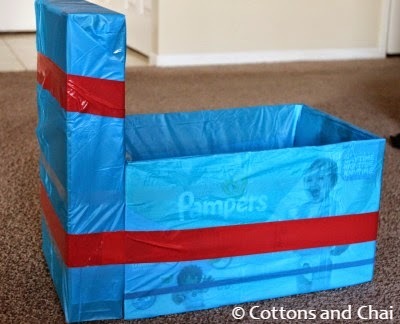 I really appreciate how you used stuff that was up for recycling and reused it to make something creative and so much fun. I can see your little guy having lots of fun playing in this costume long after Halloween. Great job you two!!! Loved both the costumes! Am going to pin the rainbow one for my yet to be born little girl! So much work has gone into the Thomas costume! My lil boy was a spider this year....not Spiderman just spider like he says. It was fun getting all the accessories to dress him up. Loved both the customes. You both are indulgent mothers. Thanks Anjali! Indulgent mothers? 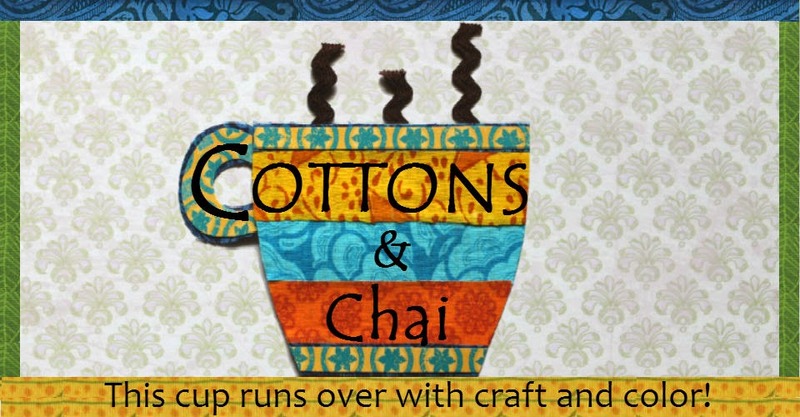 That may be, but I guess we like to indulge our strong crafty urges too! 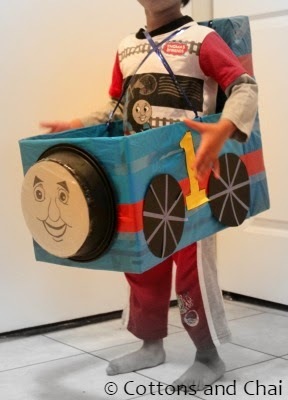 That Thomas the Tank engine costume is so excellent! I remember my mother dressed me up as Lisa Simpson as a little girl, using a cereal box to fashion Lisa hair! 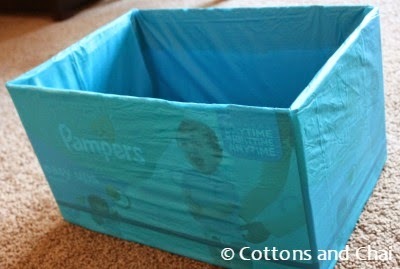 It wasn't quite up to this standard though!